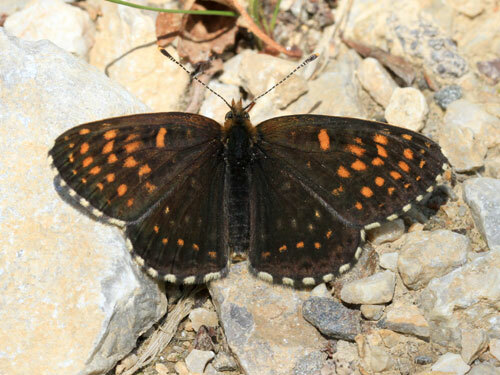 Very heavy dark markings characterise this species. 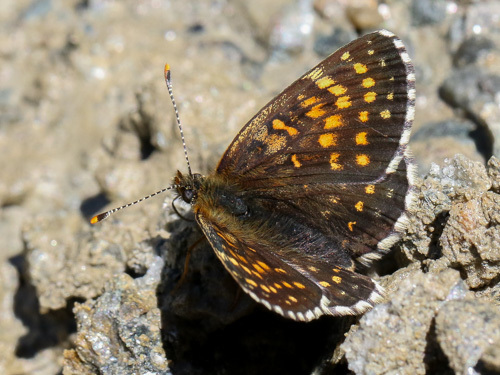 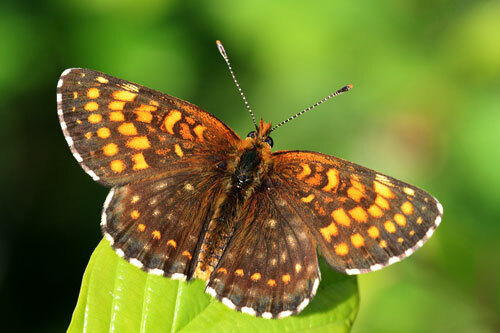 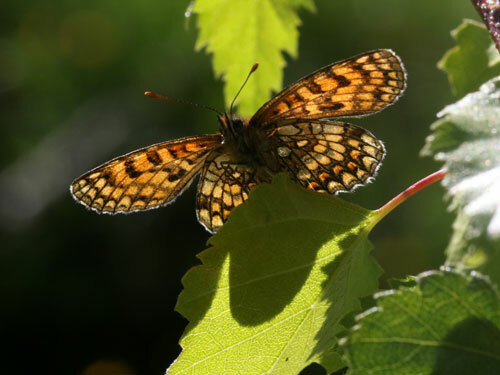 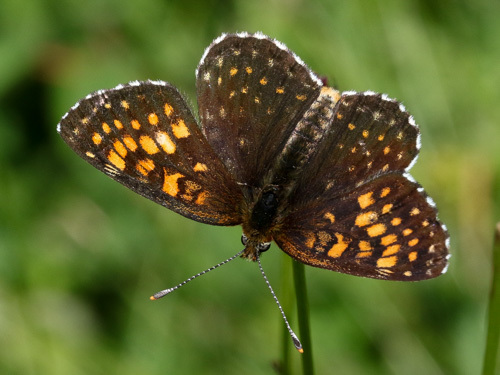 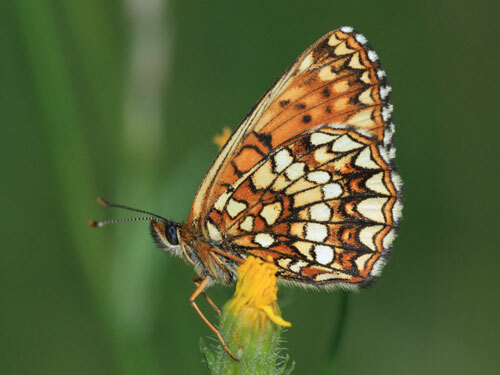 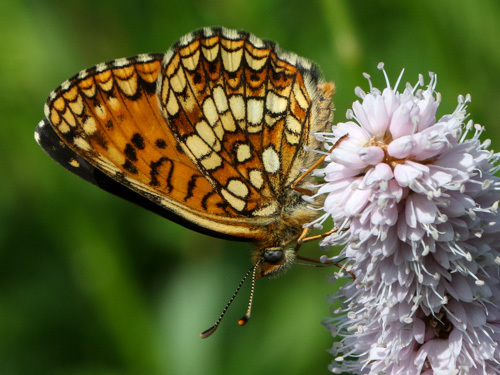 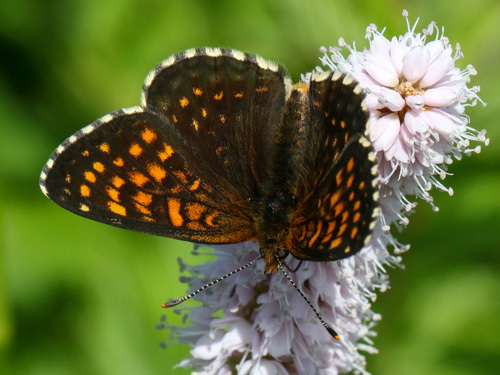 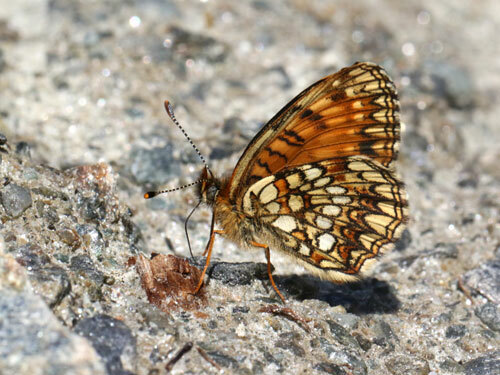 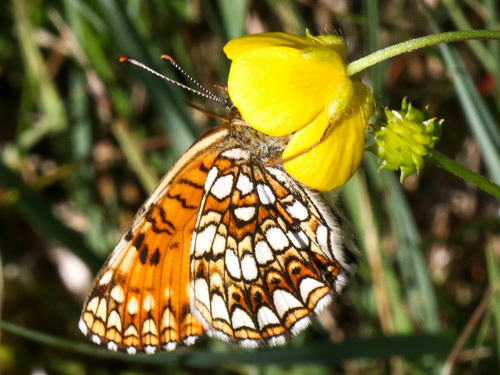 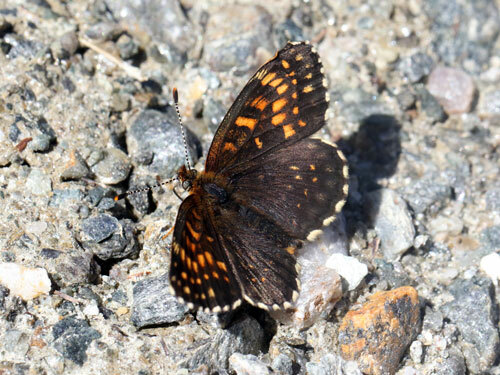 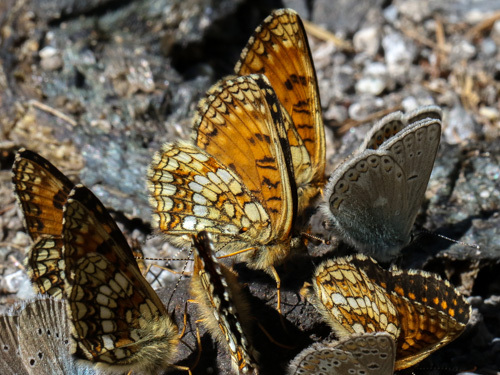 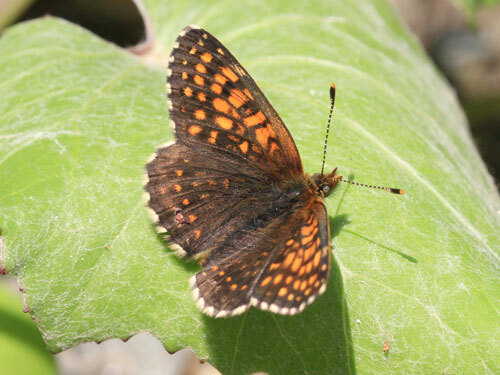 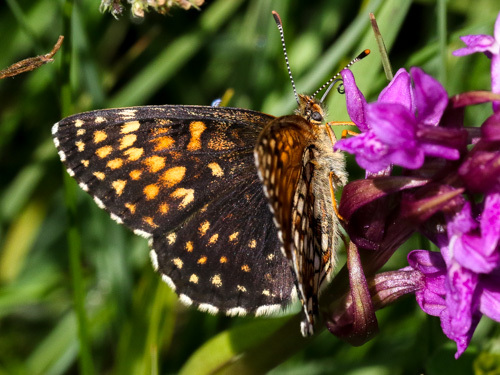 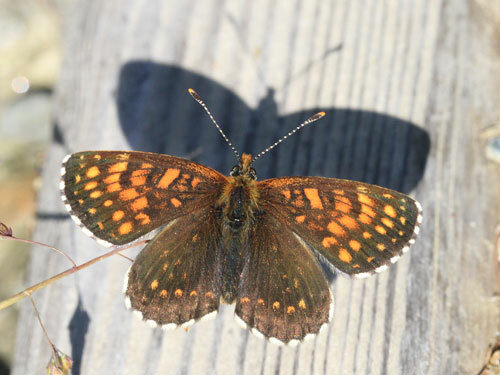 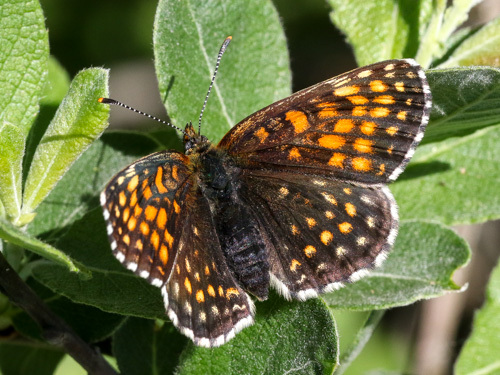 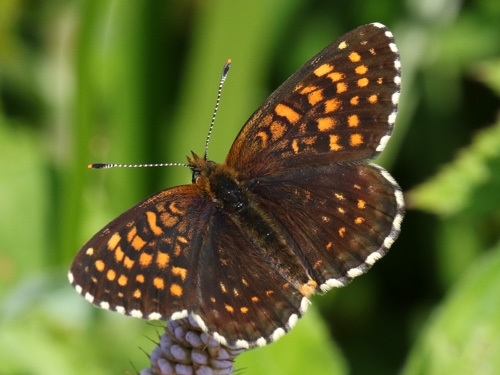 Identification & Similar species: The very heavy black markings, particularly on the upperside hindwing, separate this species from similar ones such as the heath, Grison's, meadow, Nickerl's, Assman's and Provencal fritillaries, M. athalia, M. varia, M. parthenoides, M. aurelia, M. britomartis & M. deione. 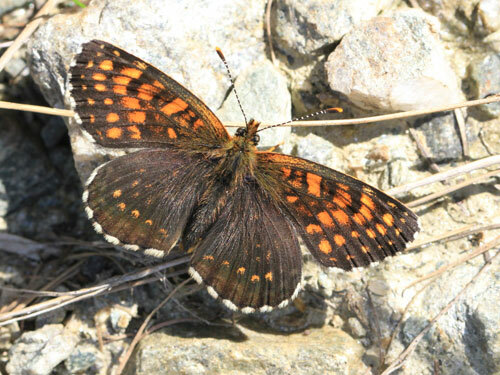 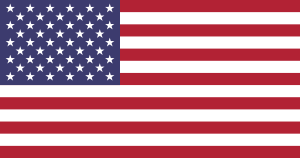 Widespread from north Spain, south & east France and eastwards into south Scandinavia and Bulgaria. 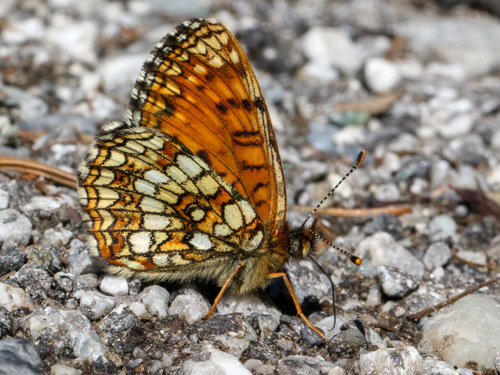 I've found it in central Italy where it appears to be rare and underrecorded. 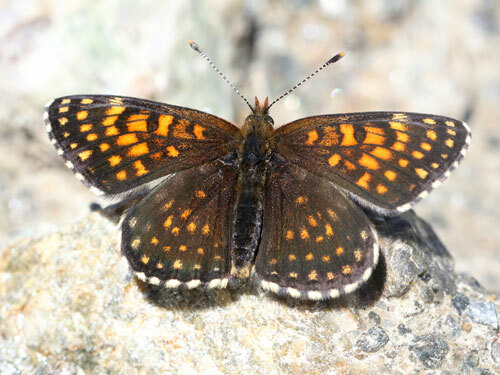 Usually a single brood in May/ July depending on altitude, and may have a second brood in some warmer regions. 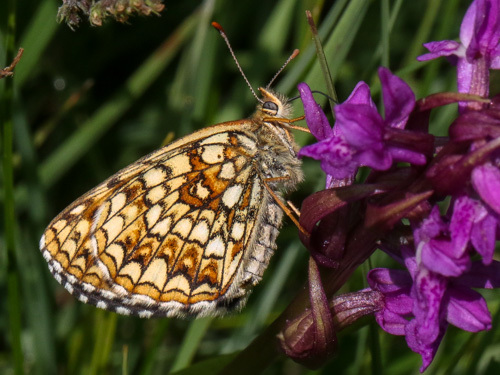 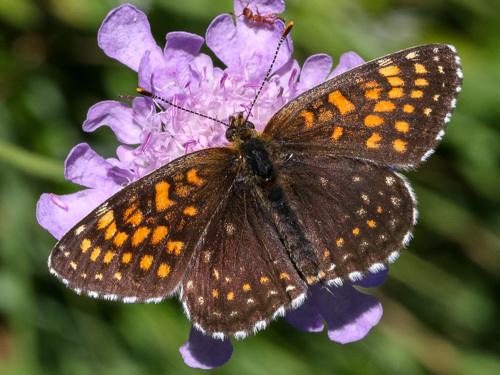 Habitat & Behaviour: Damp flowery meadows from low to alpine levels. 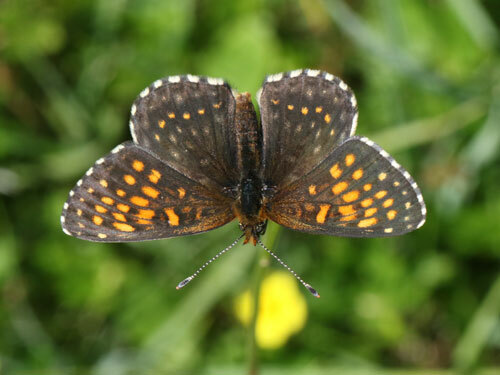 Variation: Highly variable in extent of black markings and level of variegation of upperside ground colour.